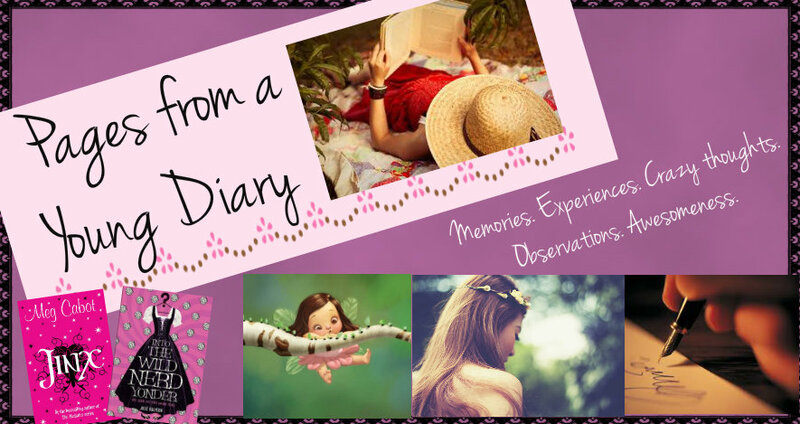 Pages from a Young Diary: Will you always remember? When I say that among the many things I truly wish to do, is to affect lives in a positive way, to make a difference to someone, to be the one who cared, who understood, who was with them when they really needed someone, it's purely because that's how I want to be remembered. Positive, the reason for a smile, a laugh, a much-needed closure, an understanding, anything that's good. Someone who's not well-known, but you love her because she's been, or done something you hold close to your heart, something that really matters to you. That's a long way to go, especially considering how moody I can be. Sweet one moment and upset and irritable the next, but I try. 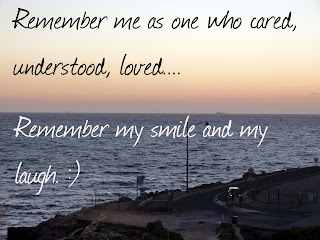 One of my biggest fears is "being forgotten". That's not because once in Class IX when we returned to the school after a picnic, my parents did forget me, as no one turned up to pick me up and I had to make a call home to remind someone that a kid is missing from the household (Hey, that day we were shifting to our new home and everyone was running around, but still. Who forgets their kid?). No, that's not the reason. And I'm not sure of any other reason either. I suppose it's because I love my life, even with all its flaws and all my flaws and I don't want to think it's all for nothing. That one day this life would become so insignificant, it'd be as if it never was. Maybe we all are tiny insignificant dots, but I don't want to believe it. I like to think I have a place somewhere in the puzzle, some place where I click, where I'm important, where even after I'm not physically present, I won't be forgotten. But does that really happen? Someone from the family, the first someone you saw going lifeless, the someone who mattered the world to you, who defined you in so many ways.... doesn't that someone deserve to be remembered? Of course they do. You remember them, but when? Initially all the time, then sometimes when you feel lonely and then after maybe a couple of years (or way sooner, in some cases), only when you see something they touched, something that was close to both of you, or when you remember something important about yourself and realize they had a role in it. Otherwise days pass and they don't come to your head. You move on. Like the Old Man (in Looking for Alaska) says, "Everything that comes together, falls apart". I guess it's natural then. Maybe what I wish for is also materialistic, because all of us are meant to be coming and going, coming together and then falling apart, as a cycle. Not meant to be a cog, because it's not mechanical, rather, natural. This feeling was further attacked when I read (again, in Looking for Alaska), these lines that suggest we will be forgotten. "Someday no one will remember that she ever existed, or that I did. Because memories fall apart, too. And then you're left with nothing, left not even with a ghost but with its shadow. In the beginning, she had haunted me, haunted my dreams, but even now, just weeks later, she was slipping away, falling apart in my memory and everyone else's, dying again." But even then, there has to be something. If not forever, till the maximum possible time? Like we see things and feelings and think of a particular person. Which means some sort of materialism is important. Look, it's important to me to be remembered and I'm not so sure of just a memory. It can fade. 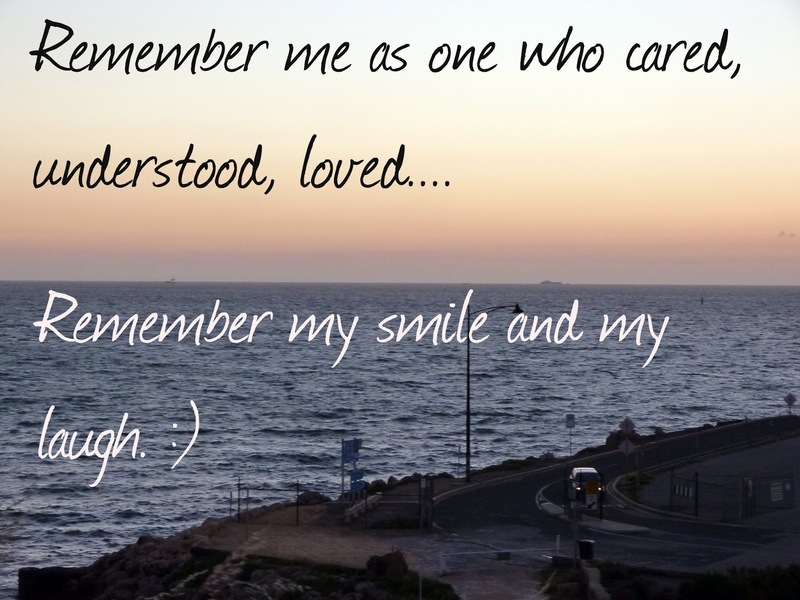 If there's something to remind you of me, I'd be more than willing to add that to the memory too. If you don't believe in it, for me, please do. PS- One, I'm totally living in Looking for Alaska. I don't know when I'll be able to come out of it. Two, I'm writing shorter posts these days. Three, point number two is really scaring the hell out of me. At first I don't think your point two is totally true..your post long enough to be called a post..so don't worry. Hey thanks! :) I love the new look too! Do you remember that day in metro when we asked each other, what do u want out of your life and so and so...and apart from 2 3 other things, i said..that i want to meet diff ppl, be intutive enough to give them smthng missing in their lives-a hope,a touch, a hug, an appreciation, a bouquet,a book or anything....I just want them to remember me.. I truly loved this post purely for the simplicity of your thoughts here and I admire you for having thought something like this.